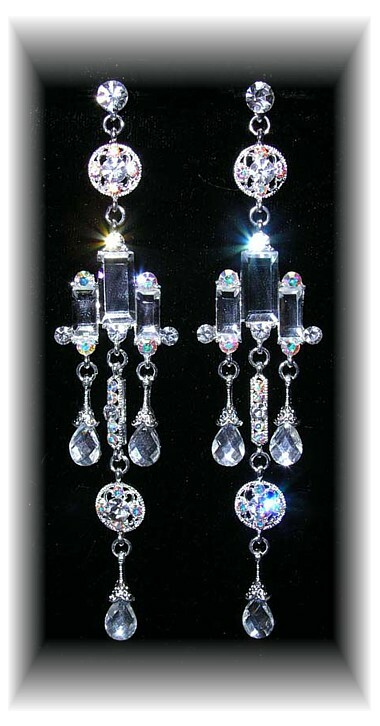 As the name suggests, these outrageous earrings are created to attract mega attention. Ornate circles, baguettes and dazzling teardrops cascade down for a massive 12cm (4¾") and although they're extremely high quality they won't drag on your earlobes. True statement earrings. Plated in Sterling Silver.